Let them chase rainbows! 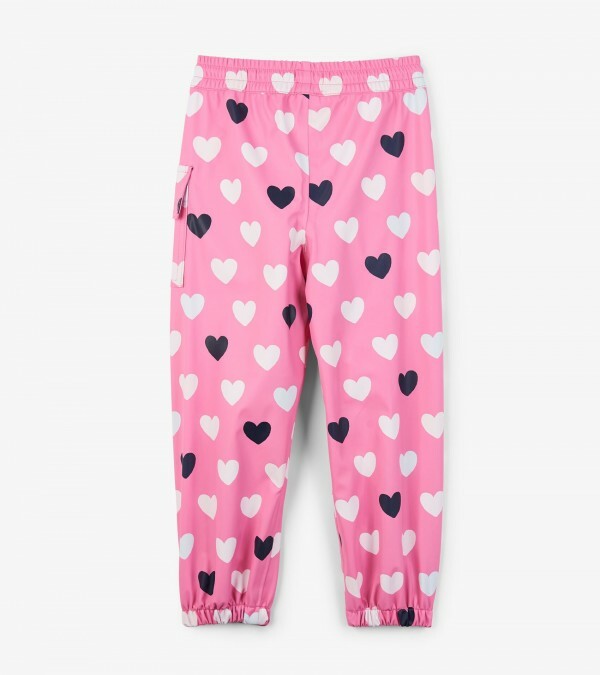 With our colour-changing hearts splash pants and the rest of our rainwear, they'll stay snug and dry (and out of the house) whatever the weather. Hmm, what could you use that extra time alone for? Features: Print changes colours in the rain Elastic waistband Functional drawcord Waterproof PVC-free Elastic leg openings Left side patch pocket with velcro closure Machine washable 100% polyurethane.